What are your plans for the Fourth of July?? Re: What are your plans for the Fourth of July?? Apparently, I'm doing the same thing I did the last time I posted here. I'm thinking it's going to be a quiet fourth here as well. No real plans made, just relaxing and keeping cool. Sounds good, Chuck. I also do the opposite of what everybody else is doing during the holidays. Yesterday I had all 3 grandchildren over for a sleepover and so I'm taking it easy today. If I manage to do a nap, then maybe I'll walk down to the park for fireworks. 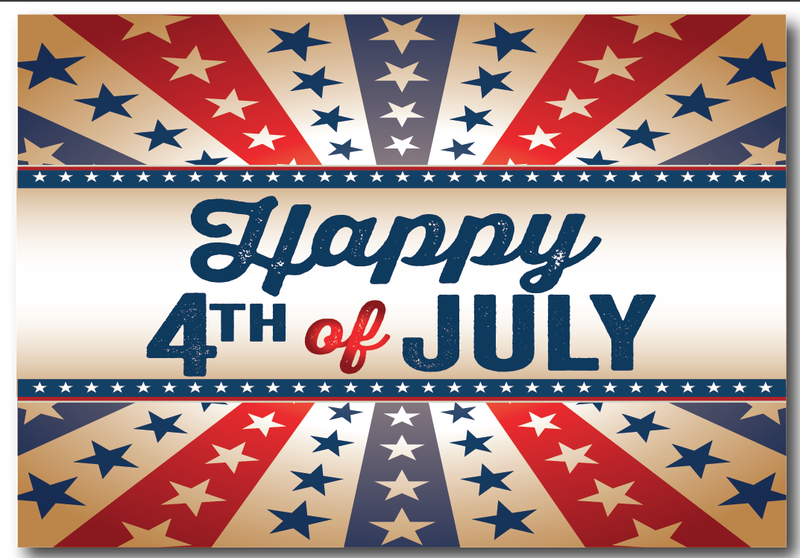 Hope that everyone who celebrates is having a fun and safe 4th! Some more storms are predicted today, but they're saying they should happen between 1:00 - 4:00, and cleared out by the time fireworks go off. I did as I planned, I slept in, stayed close to home and with the A/C on, and watching bad TV. Although, I wonder when sleeping in for me moved from 11:00am to 8:30am?